For the majority of her life, Kim Ifft has been a photographer – she actually made her first camera from a Quaker Oatmeal can! Her talent for capturing timeless moments has continued to expand through the years. She comes alive behind a camera and is able to capture stories of people, life and love. With a hands on approach, Kim Ifft Photography shoots candid, special moments that show the emotion of life’s story as it is taking place. Her photographic style and philosophy is strongly inspired by Kim’s passion to expose and highlight the whimsical, spontaneous moments of life. Kim connects with her clients from behind the lens bringing out and showcasing the quick gestures and actions that define the story – a tear in a mother’s eyes as her daughter walks down the aisle, the proud look of a new father, the love in a son’s eyes as he stares at his elderly parents. 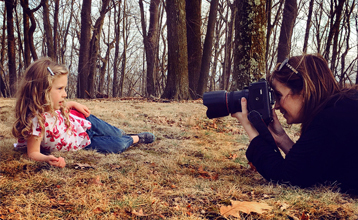 Whether it the first day of marriage, a baby’s sweet toes, holding your grandmother’s hand or planning to enjoy your senior school year, Kim Ifft Photography wants you to be able to look back on that time years later and “relive” the moment. Over the years, Kim has expanded her talent by adding corporate and advertising photography to her repertoire. Every picture tells a story … let us help tell yours.